If you are just starting out with Google Cloud Platform, you already know there’s a lot to learn. Good news is, you don’t have to go it alone. 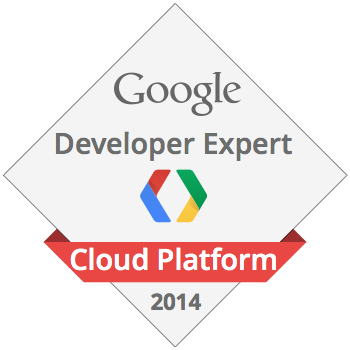 Enter Lynn Langit, Google Developer Expert (GDE) who specializes in Google Cloud Platform. Over the past few days, Lynn has released a series of six screencasts that will guide you through the first steps of becoming productive on Google Cloud Platform. The series is primarily aimed at Java developers and is also suitable for architects. The screencasts include slides and Java code samples for you to experiment with. Watch the first video of the series right here, and head on over to Lynn’s blog to enjoy the rest. Google Developer Experts are accomplished in one or more Google developer technologies. GDEs are developers just like you who act as gurus, mentors and friends to other developers. GDEs speak at events, have a strong online presence, and have an excellent technical background in their field. These independent developers bring their real-world experience and knowledge working with Google technologies to developer communities worldwide. If you want to become a GDE, post in our Official Google Cloud Platform Community and mention +Alex Maier in your post.